From art, story-telling, commercials, music videos, science to history, stop-motion animation can bring any of these topics to life. 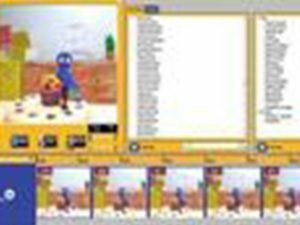 In addition to learning the software, you will also work with various DIY animation material such as clay, toys, felt and various everyday objects. Creativity to the extreme! Your project will include still or moving (chromakey) backgrounds, overlay effects such as smoke, snow, flashes, explosions, and sounds effects. This course maybe repeated. It is fun course to take with friends.